After Boviet's previous branding campaign was a huge success, they turned their attention to attracting new visitors to the revitalized website and increase search engine rankings for key industry terms. Improve Boviet's search engine rankings and website traffic to attract new visitors. Educate current and prospective customers about their brand revitalization to help drive more organic traffic to their site and content. 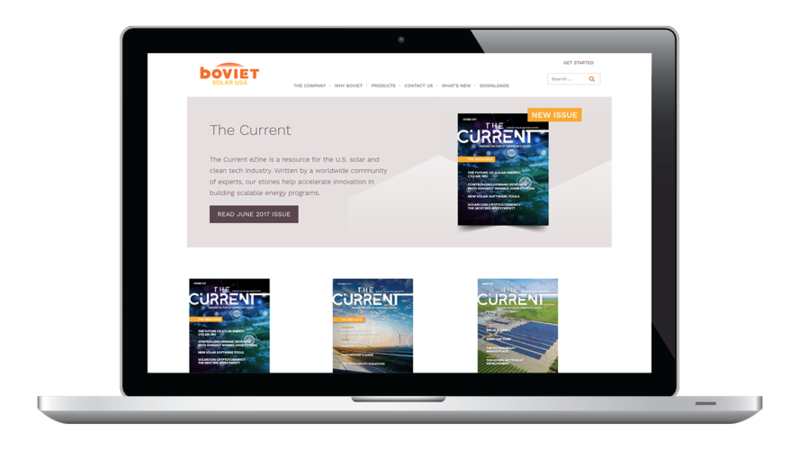 Through extensive market research, Palmer developed a plan for “Thought Leadership” that enabled Boviet to stand apart from other solar manufacturers to secure a lasting impression amongst new and existing customers. 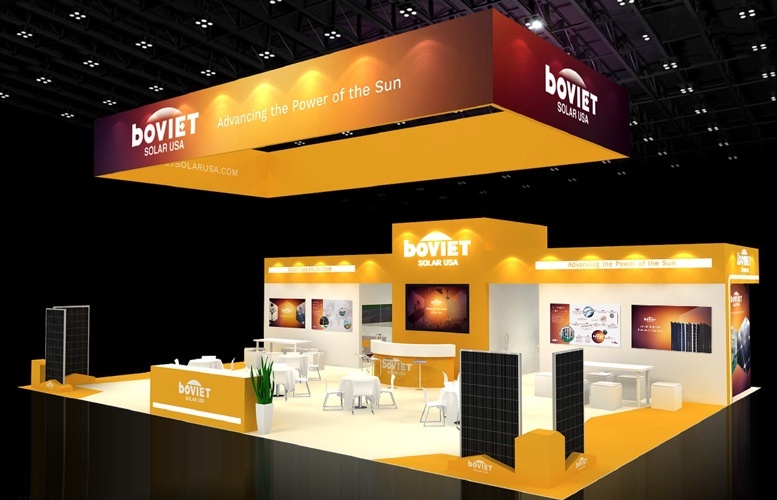 In 2016, Palmer Ad Agency successfully established Boviet Solar USA as a major player in the Tier 1 Solar Panel Manufacturing industry through a complete rebrand and awareness campaign. In 2017, our focus shifted from creating brand awareness to correcting brand perception. 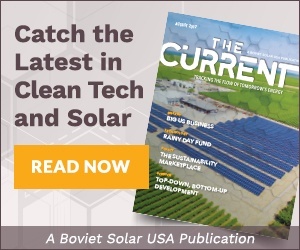 Our client wanted to give our audience a reason to care about and trust them by anchoring Boviet Solar USA as a clean tech industry leader, while also differentiating Boviet from their Top-Tier competitors. Our primary goal was creating “Instant Brand Credibility” while standing out from the pack, ultimately driving key decision makers to initiate product education and sales tactics that generate revenue. 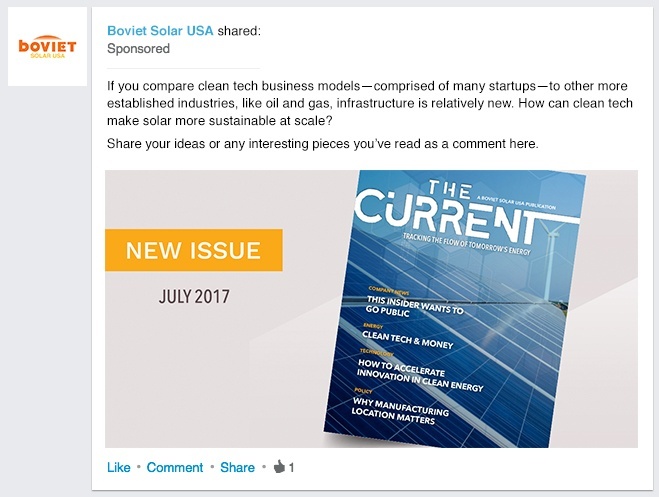 Palmer developed a content plan for “Thought Leadership” that enabled the Boviet brand to stand apart from the Tier 1 and Mid-Tier solar panel manufacturers and secure a lasting impression. 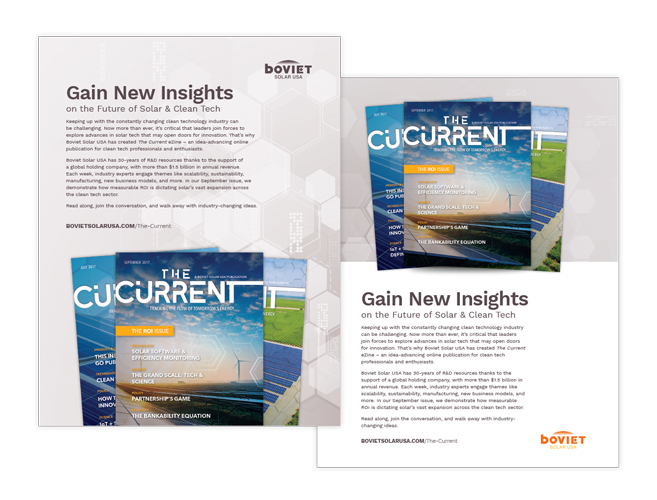 Boviet’s content strategy communicated their unique value solution: Provide superior products with one-step-ahead technology and activate “thought leadership” education for the Clean Tech and Solar Space that no other competitor was providing. 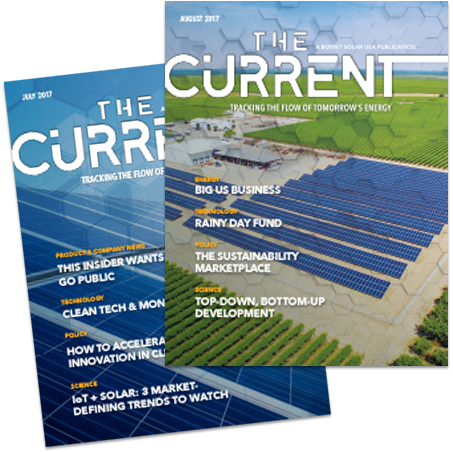 The core of the “thought leadership” strategy was the creation of “The Current,” a monthly eZine written by a worldwide community of experts, which covers and helps accelerate innovation in building scalable energy programs. Palmer’s Content Marketing Plan included Inbound Marketing, Outbound Marketing and Public Relations. Palmer created a unique, clear digital communication for industry influencers, decision-makers, and the media though The Current eZine. 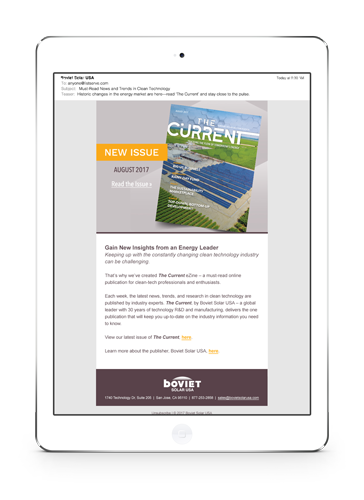 Every week a new and informative “thought leadership” article would be distributed to targeted solar and clean tech industry decision-makers, influencers, and enthusiasts. Palmer engaged a paid digital media plan to a targeted list of potential clientele through various digital channels, such as LinkedIn, and AdRoll. These advertised for the Inbound Marketing strategy for The Current magazine, furthering the reach of the Inbound Marketing campaign. To increase the reach of the brand and The Current, Palmer established a robust public relations plan. These strategies allowed, Industry Influencers, Decision-Makers, and the general media to be more aware of Boviet's brand and its connection to their $1.5 billion annual revenue parent company, Powerway Group. The following chart demonstrates YTD growth in website visits by month. The Current drives the majority of organic search as there is no live keyword mapping program. The social media traffic is 2.5 times higher than the average industry benchmark data. 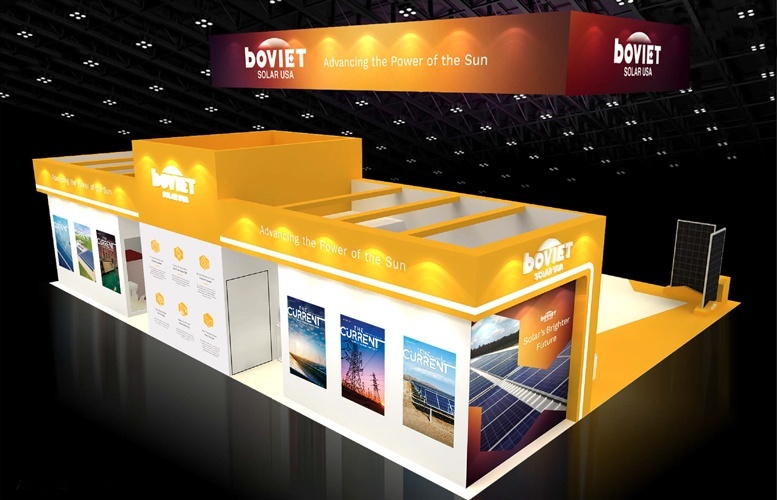 Boviet Solar USA’s Content Marketing Plan enables Inbound Marketing, Outbound Marketing and Public Relations. Boviet’s content strategy has proven very successful in generating a world-class brand perception, Tier 1 financial standings, and quality lead generation resulting in a 2017 inventory sell-out. 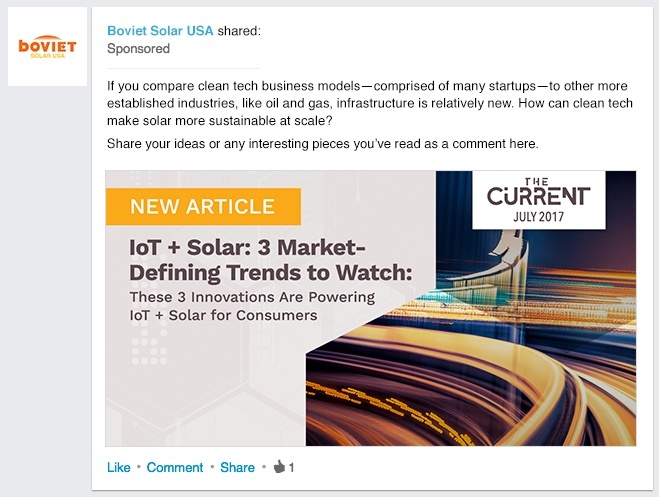 The Content Marketing Plan positioned Boviet Solar USA as industry “thought leader” and Boviet is now the leading Top Tier solar panel manufacturer in the country.